This post is made in partnership with G.H. Cretors. Let’s just be honest… I’m not the biggest football fan. But, what I CAN get behind is a touchdown when it comes to having an entire day dedicated to eating and more eating. Snacks are basically my favorite food group. I often end up accidentally making a meal out of what started as a simple pre-dinner snack-a-thon. I’m not mad about it. 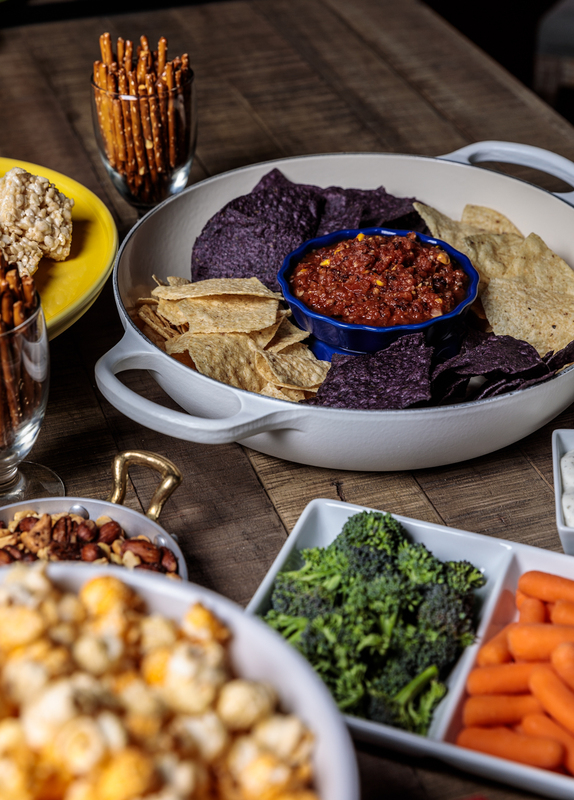 I’m sharing my favorite simple setup for a fantastic Super Bowl setup without keeping you in the kitchen all day. I discovered what may be my favorite off-the-shelf favorite snack from G.H. 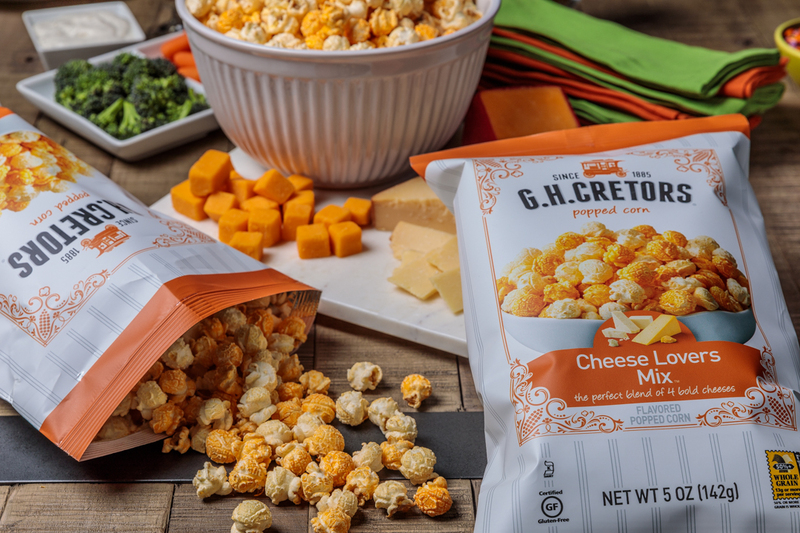 Cretors® Popped Corn this past year and am excited to share it with you all. With a few easy classics, and some smart choices for grab and go bites, you can enjoy the day with friends and family to the max. 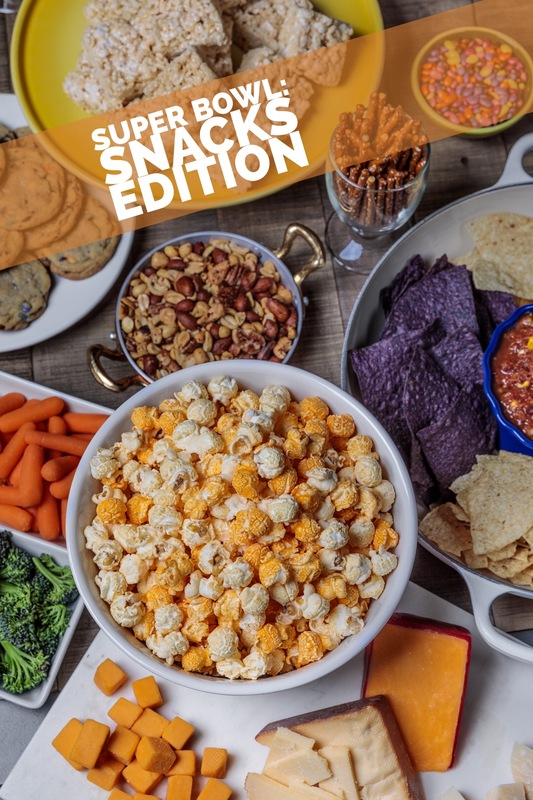 My favorite start to planning Super Bowl is to personally test a selection of snacks. You know… like fine wine. Gotta make sure everything is going to be in tip-top shape for your party. It’s a tough job, but I’m sure y’all are up for it. First on the list is one of my absolute go-to snack picks. 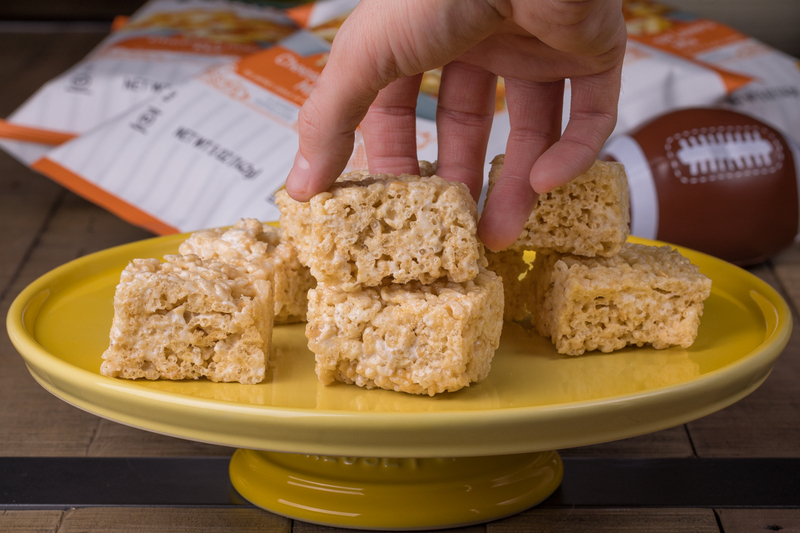 Undeniably, a solid rice crispy marshmallow treat recipe is one that you should all have in your pocket. Not to flaunt or anything, but my Best Rice Crispy Treats recipe is still absolutely perfect to me. These take just a few minutes to whip up, and I think are actually even better when you make them the day before. Simple cookies are another great addition to a spread. Cookies are rarely ever complicated to make, and you can freeze the dough ready to bake to have them warm any time you want. Take it from me, but there are few things better than a warm homemade cookie at midnight. 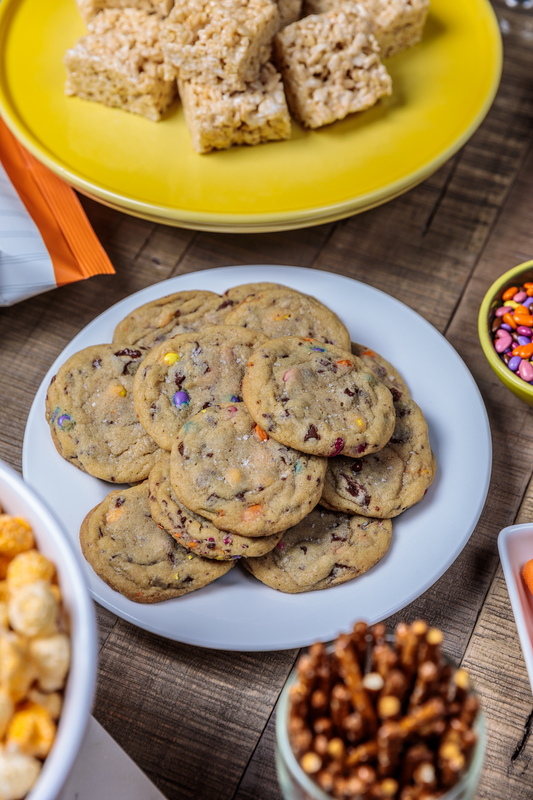 Check out our cookie recipes here. You’ve gotta have a few sweet options, right?! The best decision that I made for my upcoming Super Bowl spread is probably the most simple. POPCORN! Not any ol’ popcorn, but instead my absolute new favorite. No joke, y’all. When I first discovered G.H. Cretors, I was hooked. 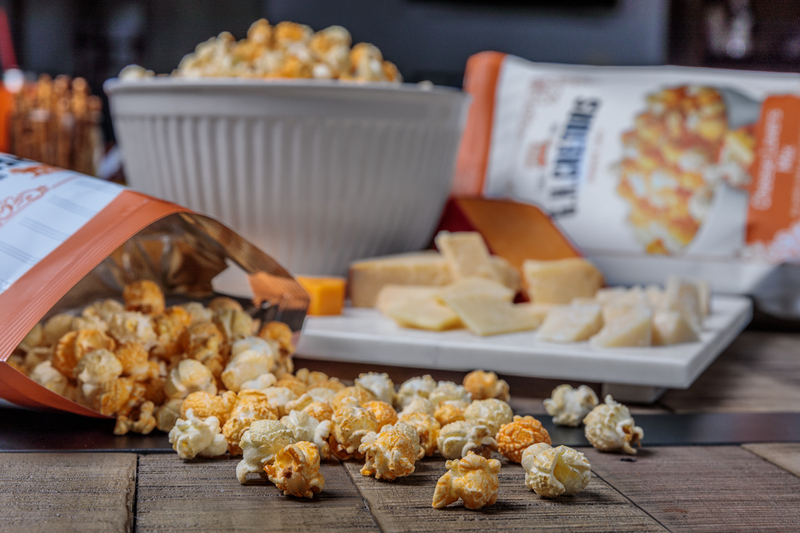 The first blend that I tried is The Mix, with buttery caramel and aged cheddar all mixed together in one bag that I may or may not have had for lunch on multiple occasions. 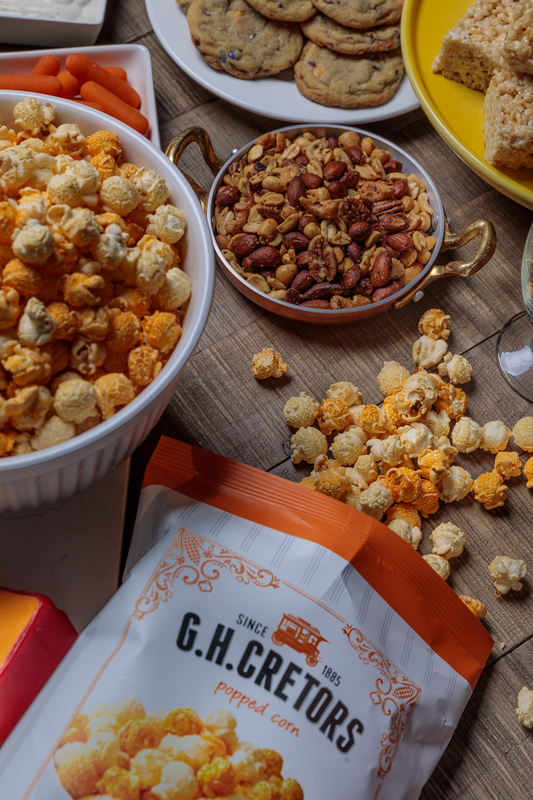 Sweet and savory together in one bag, all from the brand who’s created the popcorn movement that we all know today. 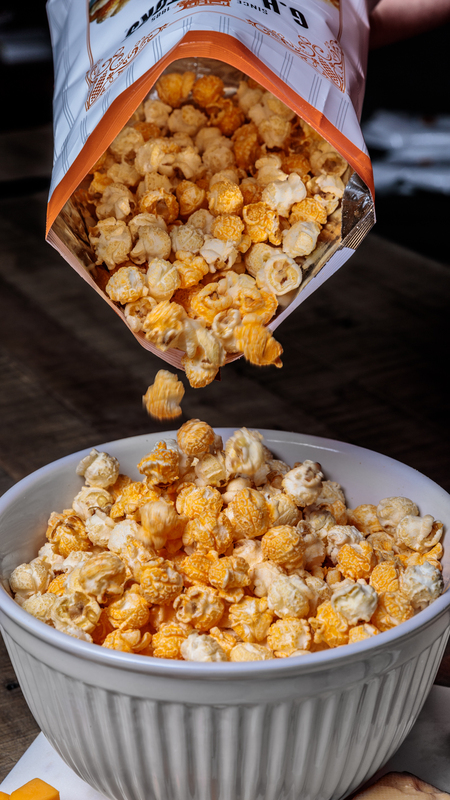 In 1885, Charles Cretors invented the popcorn machine, and the family has been poppin’ great mixes ever since. The latest to the team lineup is the Cheese Lovers Mix. Packed with white cheddar, sharp cheddar, Parmesan, and Romano, all of the first-string is in the house for this one. Click here to find these pops in your local area. 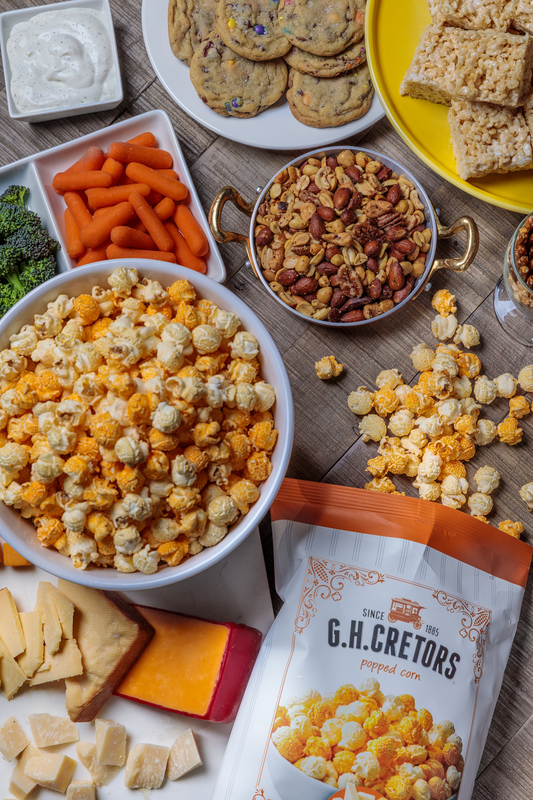 Popcorn is pretty much the perfect party food, and these unique mixes bring something totally new to the table. Grab a couple handfuls and get ready to root on your team! I’ll be cheering on my favorite team during the Super Bowl, the snack table team! — Share your G.H. Cretors pops with #ghcretors on social media. Be sure to tag us at @southernfatty so we can see! This post was sponsored by G.H. Cretors, but the opinions written here are certainly my own. I truly enjoy these products and am thrilled to partner with them to share the love. Thank you for supporting these partnership brands that keep the blog rolling along.